SimErgy can help your organization with a comprehensive range of ERM consulting services. 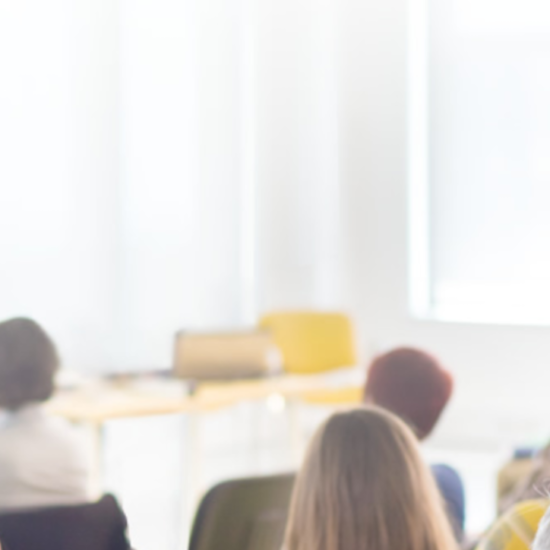 We have helped organizations at all levels of ERM maturity – from those just starting their ERM programs to those with ERM programs that have been developed over years – and in all stages of ERM activities. 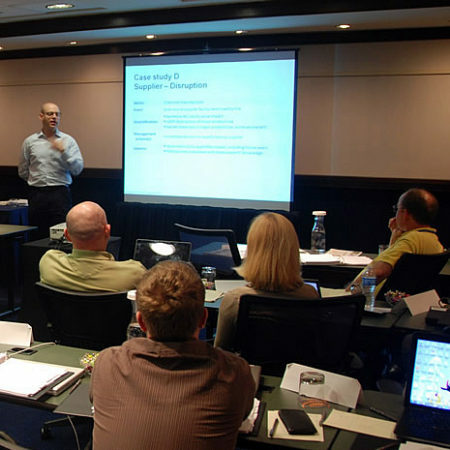 SimErgy ERM Boot Camp is a practical hands-on training program providing tangible skills that can be applied immediately to successfully implement or advance ERM programs. This program uses a stimulating and dynamic combination of lectures, individual exercises, group exercises, and case studies. SIM SEGAL, FSA, CERA is president and founder of SimErgy Consulting, providing a comprehensive set of ERM consulting services to a wide range of industry sectors. Segal is author of Corporate Value of Enterprise Risk Management (Wiley, March 2011), adopted as required reading on the syllabi of the Society of Actuaries and leading universities. 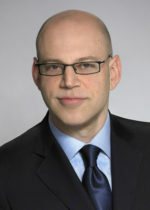 He also serves as academic director of ERM programs at Columbia University. 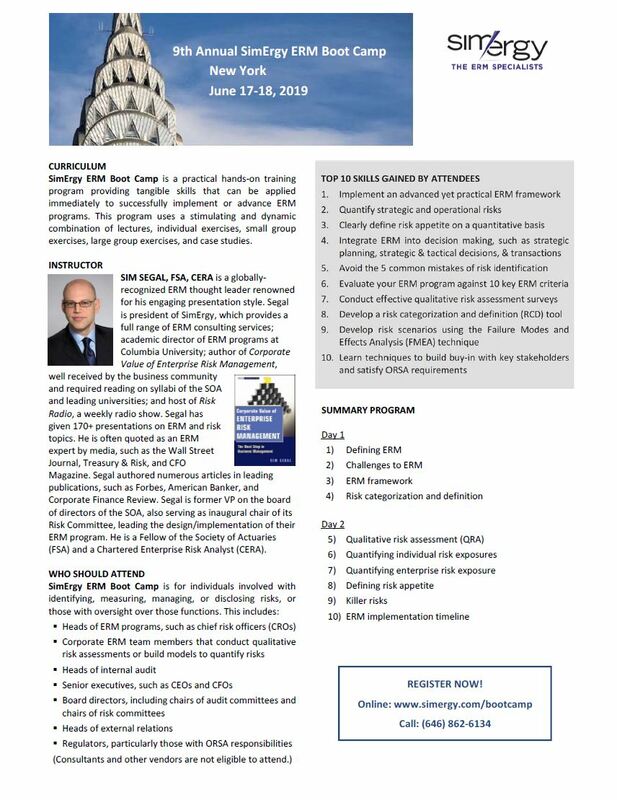 Segal is a dynamic and engaging professional speaker and has given over 170 presentations on ERM and risk-related topics. He is frequently quoted by media, such as Wall Street Journal, Treasury & Risk, and CFO Magazine. Segal has also authored numerous articles in leading publications, such as Forbes, American Banker, and Corporate Finance Review. Segal is former vice president on the board of directors of the Society of Actuaries, where he also served as inaugural chairman of the Risk Committee, leading the design and implementation of ERM for the profession itself. Segal has also served as chief editor of Risk Management (an international ERM publication). He is a Fellow of the Society of Actuaries (FSA) and a Chartered Enterprise Risk Analyst (CERA). A consulting firm specializing exclusively in enterprise risk management (ERM), offering consulting services and executive training seminars.